Since picking up our Serro Scotty HiLander a week ago, we’ve found out the prevailing question we can anticipate in the future: Is that new or restored? We encountered that question twice while camping in Batesville, Indiana Sunday. That’s a fair question to ask from those who remember Scotties from the trailer’s hey-day in the mid-late 1960’s. The HiLander model was introduced in 1964 and was manufactured until the late 1970’s. Little changed in the design, and with the popularity of them during those years, there was little need to fix what wasn’t broken. 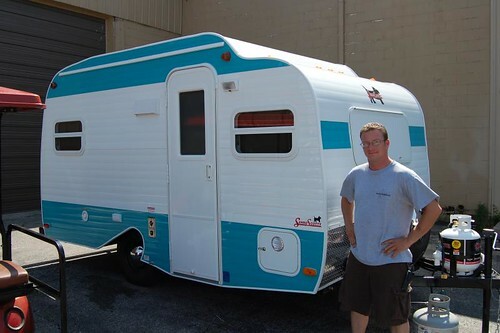 John Serro strived to build a line of small but roomy, lightweight trailers that were affordable. 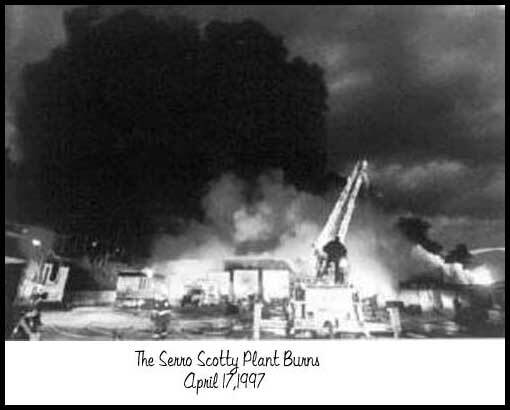 Few could argue the success he had, as Scotty built travel trailers from 1957 through 1997 when a devastating fire at their last remaining plant located in Irwin, Pennsylvania put them out of the travel trailer business. Two other plants in Bristow, Oklahoma and Ashburn, Georgia had already closed in the early 1980’s. Fast forward to 2006 when an RV dealer in western Pennsylvania wanted to see the past brought back. Bill Kerola worked with John Serro’s grandson to bring the Serro Scotty name back and did so with the introduction in 2007 of the 13′ Sportsman and 15′ HiLander models. 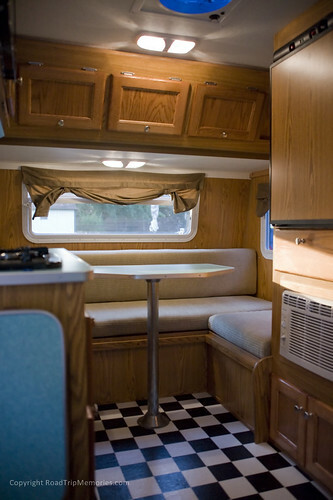 Now produced by horse trailer conversion specialists Sierra Custom Interiors in Bristol, Indiana, Serro Scotty Worldwide offers a line of five different trailers from which to choose. For us, it was the 15’9″ HiLander, the largest rig they offer. We love just about anything retro, so going with a Scotty for our next trailer was going to be a perfect fit. We went as far as to have them add a black & white checkered floor and aqua boomerang counter and table tops to add to the 1960’s feel. to one that was built just weeks ago (Ours with Sierra Interiors manager John). 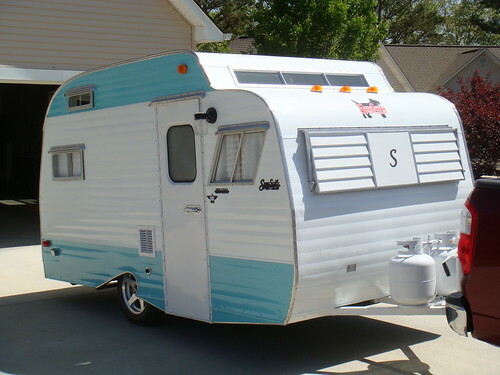 But whether it’s old or new, Serro Scotty is an iconic name in the history of travel trailers that won’t soon be forgotten. Bill Kerola is making sure of that.